The Xerox Color C70 is a light-production powerhouse capable of printing on paper stocks weighing up to 300GSM while maintaining beautiful image quality throughout. The best part? It’s inexpensive. Please contact us for more information or for a free risk-free live demonstration. NORWALK, Conn. — How do you make the industry’s most productive digital production color platform even better? Add a fifth color option, boost press uptime and offer multiple speed choices – the calling cards of the new Xerox (NYSE: XRX) iGen® 5 Press. According to InfoTrends, the high-end digital production color market will expand from around 60 billion pages today to 87 billion pages globally by 2018, offering a significant growth opportunity for print service providers. Thousands of iGen presses are already creating billions of high-quality, high-margin sales brochures, posters, photo books and pieces of direct-mail – often personalized and always in vibrant color. With the iGen platform, productivity gains of up to 25 percent can be achieved since less time is spent on reprinting, quality control and job setup, continuing to make iGen devices the most productive digital presses on the market. And now there’s another option to continue that momentum. 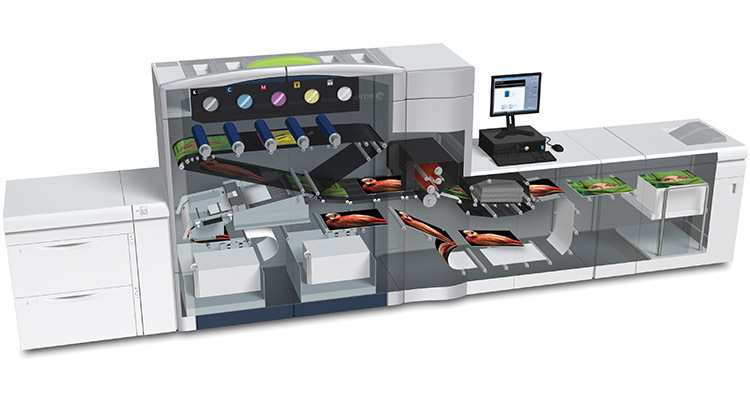 Print providers can select the iGen 5 150 Press (150 ppm), iGen 5 120 Press (120 ppm) or iGen 5 90 Press (90 ppm), and with a new scalable architecture, upgrading from one speed to the next is simple. The optional fifth color unit increases the ability to match a larger gamut of Pantone® colors or unknown spot colors without hindering productivity. Orange, green or blue options supplement CMYK and can accurately hit distinctive brand colors without moving short runs to offset. A variety of color matching, job setup and quality control automation tools ensure maximum uptime equating to more profitable pages flowing through an operation. Gloss or matte dry ink options that add to the presses’ ability to create unique and eye-grabbing applications. 26-inch sheet size to enable more jobs and applications such as six-panel brochures, gatefold pamphlets, pocket folders and direct-mail campaigns. 2400 x 2400 dpi imaging system, Object Oriented Halftoning, Xerox Confident Color and Auto Density Control to deliver reliable and predictable image quality. The iGen 5 complements the existing offerings within the iGen family – the iGen 150 and iGen4 Diamond Edition – by continuing to expand the scope of applications that can be produced using Xerox’s industry-leading production color portfolio. The iGen 5 150 Press and EFI Print Server are available immediately worldwide. The iGen 5 120 Press, iGen 5 90 Press and FreeFlow Print Server will be available in September. The iGen 5 150 4-color base configuration will have a U.S. list price starting at $752,000 and the iGen 5 150 5-color base configuration will have a U.S. list price starting at $849,000. NORWALK, Conn. — Nearly three-quarters of small and medium-sized businesses (SMBs) do not have a managed print service (MPS) in place – a substantial opportunity for channel partners to help clients reduce cost by up to 30 percent annually and improve predictability while generating new, recurring revenue for their business. Xerox (NYSE: XRX) has unveiled four new tools within its Xerox Partner Print Services (XPPS) PDF file offering to help partners capitalize on the market opportunity – whether they are selling MPS for the first time or building on an established program. Channel partners can take advantage of Xerox’s three-stage MPS strategy – assess and optimize, secure and integrate, and automate and simplify – to deliver valuable solutions that address their clients’ evolving needs. Enhanced Managed Supplies Service is an easy way for partners to provide proactive, automatic supplies replenishment for printers and multifunction printers that are not under a cost-per-page price plan to save customers time and money. Leading channel partners that sell managed supplies services average 25 percent margin on managed ink and supplies revenue, which delivers an additional predictable, recurring revenue stream. The NewField IT e-Commerce Storefront makes it easy for partners to order and renew assessment tools and services to analyze a company’s IT infrastructure in order to develop and sell a smart MPS program. MPS Application Programming Interface (API) is a software development kit that integrates with a partner’s front or back office system to reduce administrative costs such as client billing and improve help desk and incident management metrics. Xerox Digital Alternatives is a simple desktop and mobile assistant technology that automates paper-based workflows that is now available to the channel. Users can easily sign, annotate, share, save and read documents in one interface and don’t need to print documents, convert files or toggle between different programs and digital versions; a time-saving and efficiency gain. NewField IT e-Commerce Storefront, MPS API and Enhanced Managed Supplies Service are available to U.S. and European partners. Xerox Digital Alternatives is subject to partner accreditation starting in July for European Concessionaires and later this year for U.S. partners. Enhanced Managed Supplies Service will be available to Canada later this year. NORWALK, Conn. — Xerox (NYSE: XRX), a leader in diversified business process services, is enabling accelerated adoption of robotic process automation (RPA) services with the latest expansion of its automation software portfolio. Automation has reached an inflection point in the business process outsourcing (BPO) industry where mature automation tools are now readily available to redesign routine, manual tasks –such as data entry – roles typically performed by humans who can now be re-deployed to higher value roles. Xerox developed this general purpose software to mimic human actions by routing or processing data based on specific rules. The software works with any data source (i.e. emails, spreadsheets) and can be programmed to perform simple routines to complex processes. This software creates a user interface or communication link that can read data entering a specific process through a business app, web app or contact center and can direct the data to the appropriate application or process. This robotic software controls the business process workflow plus what the users see on their computer screens, creating an easy-to-use, fully integrated product that can be deployed in various industries. For example, this software application can be used to train customer care agents and to help respond to callers’ inquiries. The application eliminates the need for extensive agent training on where to find the answers to common customer inquiries. Watts said Xerox is embedding automation tools throughout its portfolio to support its full line of business — from customer care centers, to finance and accounting processes to the healthcare sector. The company previously announced the benefits of workflow automation on its managed print services when it unveiled Xerox managed print services and workflow automation services. To improve the accuracy of claim transactions for New Jersey’s oldest and largest health insurer, Xerox Automated Intelligence was used to make enhancements to the claim coding system, which helped to minimize errors and achieve an accuracy rate exceeding 98%. The Xerox Case Management software was introduced to the customer care center that receives calls from Medicaid beneficiaries. 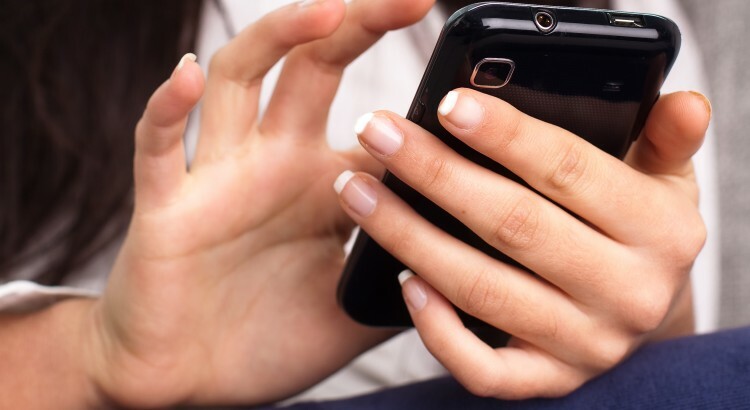 The tool allows customer care agents to focus on callers’ inquiries and concerns rather than administrative tasks such as documenting the details and background for the inquiry. WEBSTER, N.Y. — Xerox (NYSE: XRX) will increase its emulsion aggregation (EA) toner capacity by 40 percent with the completion today of a nearly $35 million expansion project to help Xerox keep pace with growing EA toner product demand. The expansion has increased the plant size from 100,000 square-feet to 155,000 square-feet, and added about $26 million in EA toner manufacturing equipment. Xerox and local officials participated in the official opening today. “From the first xerographic image over 75 years ago, Xerox has been reengineering the way people work and expanding this toner plant represents an opportunity to meet the high demand for our innovative solution,” said Richard Schmachtenberg, senior vice president, Consumables Development and Manufacturing for Xerox. Developed by Xerox and protected by more than 300 patents, EA toner produces sharper images using less toner per page. Unlike traditional toner, which is created by physically grinding composite polymeric materials to micron-sized particles, EA toner is chemically grown enabling the size, shape and structure of the particles to be precisely controlled. This leads to improved print quality, less toner usage, less toner waste and less energy required for manufacturing and for printing. Xerox and Fuji Xerox have designed around 50 office and production printing products that use EA toner. According to InfoTrends, between 2013 and 2018 production digital color toner-based pages will grow at a 6.2% compound annual growth rate, amounting to 295 billion pages globally by 2018, which presents a sizeable opportunity for the chemically grown toners used in Xerox production devices. 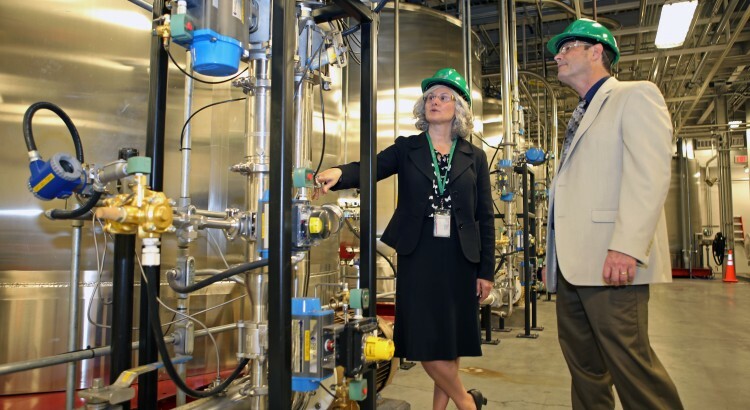 Construction on the plant addition began in 2013, and the new manufacturing line and new toner filling line is expected to create about 54 new jobs, consisting of process operators, quality control, lab personnel and additional maintenance staff. The project also generated about 70 full-time construction jobs over the past 15 months. The current five-story plant, which opened in 2007, is one of only a handful of its kind in the world. It features more than 29 miles of pipe, over 100 stainless steel tanks and includes nearly 11,000 sensors that track information about temperature, humidity, air flow and other variables. Xerox has invested $120 million in the plant, mostly in custom manufacturing process equipment. NORWALK, Conn. — Producing wide format applications faster with spot-on image quality is possible with the new Performance Package designed for the Xerox Wide Format IJP 2000. The optional package combines patented Xerox technology and scanning solutions for advanced image quality management and multifunction capabilities. With the enhanced image quality management, more high coverage jobs can be produced faster by correcting streaking and banding that result from variations in print-head performance, a common challenge in high-speed, single pass wide format inkjet devices. Meanwhile, the scan-to-print and scan-to-file capabilities available through the Xerox 7742 Scan Solution allows documents with handwritten notations and amendments to be scanned then printed or filed – a necessity for technical documents. The Performance Package runs on the IJP 2000’s Caldera GrandRIP+ with an intuitive user interface, so the workflow remains centralized and simple. The calibration process takes less than 10 minutes and delivers optimal results when performed weekly as part of a regular maintenance routine. The Xerox 7742 Scan Solution has an optical scanning resolution of 1,200 dpi, with user selectable resolutions at 50 dpi increments between 100 and 1,200 dpi. Speeds range from as fast as six inches/152 millimeters per second for color to 13 inches/330 millimeters per second for black-and-white. The maximum scanning width is 42 inches/1,067 millimeters, matching the maximum width of IJP 2000 media. The IJP 2000 prints as fast as 4,520 square feet/420 square meters per hour, producing high-quality color signs in as little as five seconds, 30-foot/9-meter banners in one minute and production runs of 200 prints in approximately 20 minutes, on media as wide as 42 inches/107 centimeters. The IJP 2000 with the Performance Package and the recently launched Fotoba FHS42 Cutter file will both be on display at FESPA 2015 in Cologne, Germany from May 18-21. The Xerox Wide Format IJP 2000 Performance Package is available immediately worldwide as a retrofit or an optional add-on. NORWALK, Conn. — While companies are racing toward implementing Big Data initiatives, a recent Xerox study says there are significant issues slowing the capture of value. Business executives said there are a wide range of challenges in implementing Big Data strategies, including data security, privacy and data quality. The commissioned study conducted in Europe by Forrester Consulting on behalf of Xerox (NYSE: XRX), also found that the lack of user training and inadequate change management are hindering the business transformation that big data solutions offer. The study, based on a survey of 330 top-level executives from across Western Europe paints a portrait of the Big Data business journey, describing in detail how factors such as “big data maturity” and poor data quality impact the enterprise. Big data is key decision-driver for 2015: Three fifths (61%) of organizations said decisions made during the next year are likely to be based more on data-driven intelligence than factors such as gut feeling, opinion or experience. Inaccurate data proving costly: But 70% of organizations are still encountering inaccurate data in their systems and 46% believe it’s impacting negatively on their business, requiring re-calculation or totally unusable data sets. Data security and privacy: 37% of respondents rated data security and privacy as one of their biggest challenges when implementing big data strategies. There is a marked difference between the Datarati and Data-laggards in terms of data quality. Nearly two-fifths (38%) of Datarati say that they never or rarely find misleading or inaccurate information within their data sets, while only about a fifth (19%) of Data-laggards said this. A third (33%) of the Datarati have complete trust in big data analysis when making executive decisions, compared with only 17% of Data-laggards. Company aspirations around big data remain high despite the presence of inaccurate data. Overall, adoption of big data solutions are expected to transform businesses through providing closer engagement with customers (55%), better engagement within internal teams (54%) and supporting greater employee productivity (54%). “The majority of executives anticipate ROI soon, but realize that many organizational silos need to be broken in order to achieve that vision.” said Saunders. Over half (55%) of respondents in the study declare that they lack strong enough processes to ensure true data quality. To this end, 33% of respondents plan to hire more data engineers over the next 12–24 months, and 30% will also be looking to hire data governance developers and data scientists. 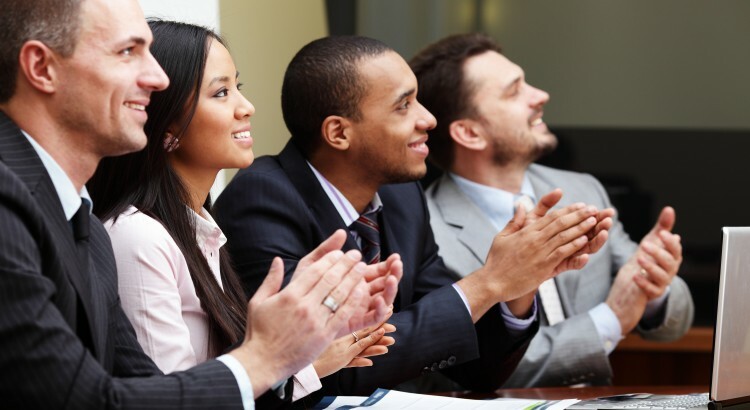 Partnering with external experts is one way executives hope to make progress. The study showed 30% of respondents plan to partner with external providers to bring big data projects up to speed in the next 12 months. Three-fifths (59%) of respondents would choose to contract with two suppliers working in partnership, where one brings deep industry knowledge and the other is a specialist analytics firm. For instance, Xerox is working to use big data to provide transportation departments such as the City of Los Angeles with solutions to efficiently manage parking spaces in the downtown area of the city, using big data from sensors in the ground. The same technology is being implemented by the transportation department in Washington, D.C.
Xerox technology can read license plate numbers at toll booths, adjust parking meter rates on demand and detect the number of passengers in a vehicle cruising in HOV (high occupancy vehicle) lanes. Xerox (NYSE: XRX) solves the paper puzzle with new services and tools that improve the way retailers, financial institutions, healthcare systems and other large enterprises deal with documents. The offerings are the latest example of Xerox building greater automation and intelligence into its solutions and products, with the goal of helping clients better manage their critical business processes. Xerox’s Workflow Automation Solution for Supply Chain Optimization, a service-based retail offering, uses the Datawatch Managed Analytics Platform to digitize, centralize, automate and govern error-prone and costly manual steps of a product lifecycle. The solution reduces labor and print costs, simplifies inventory and invoice reconciliation and improves fill rates by syncing data and applying automated analytics at the store level. Loan Application Processing – captures loan application inputs from sources such as multifunction printers, mobile devices and web applications, and automatically routes them to loan officers through a tailored workflow. External data sources – such as credit reporting services and vehicle registration databases – are seamlessly integrated into the process and stored in a secure content management system. Health Records Information Management – helps hospitals improve productivity and enable better visibility into patient care by providing a single, comprehensive view of all clinical documents and data stored in an Electronic Health Record, Picture Archiving and Communication System and clinical content repository. Human Resources Onboarding – increases the speed and efficiency of the onboarding process by removing paper, automating steps and providing management oversight. New hires are granted access to an employee portal to complete e-form “paperwork” and other required documentation online. Supporting organizations, such as facilities, IT and payroll, are engaged to ensure timely provisioning. Data is placed under records management control for future reference, retrieval or destruction. Xerox Digital Alternatives, which lets users sign, annotate, share, save and read documents from one interface, is now available in a Xerox private cloud. New powerful analytics also accelerate an organization’s paper to digital migration. In addition, Xerox’s DocuShare® Private Cloud Serviceallows for easy deployment of an enterprise content management and collaboration platform to capture, manage and share content securely in the cloud from a mobile device or PC. The Xerox Secure Print Manager Suite with User Analytics powered by CompleteView® from NewField IT provides an analysis of who is printing what, when, how much and where. With this insight, Xerox counsels businesses on how to optimize their print environments. New apps designed for the mobile workforce make secure, no-hassle printing easier for large enterprises with the Xerox Print Service Plug-in for Android users, the Mobile Access App and Mobile Link App. All of the new services and tools will be available in the U.S., Canada and Europe in Q2 2015. NORWALK, Conn. — Business apps are gaining traction in the workplace and are just behind games in terms of number of downloads. Xerox (NYSE: XRX) is charging forward and reinforcing its leadership in mobile printing with five new business apps helping employees create, share and process information without servers, middle-ware or IT support. Android users can download the Xerox Print Service Plug-in for a range of print options including paper and color selection, finishing features such as stapling and collating, and a PIN code for a secure release. Free on Google Play, the app identifies and configures the device to Xeroxmultifunction printers (MFPs), ConnectKey®-enabled MFPs and office printers. For Android users in a mixed vendor print environment, the Mopria Alliance offers a universal plug-in that facilitates two-sided printing, paper size and page range. As a founding member of the Alliance, Xerox actively supports developing standards for simple wireless printing. Xerox Mobile Print Cloud 3.0: enables users to send print jobs to a single location independent email address via a ConnectKey app; a pin code is provided allowing for the secure release of the document at the device. Additionally, an updated version of the Mobile Print Portal supports printing to any printer regardless of manufacturer. Sagemcom XMediusCLOUD Fax App: is an innovative app and cloud solution with attractive benefits for businesses. 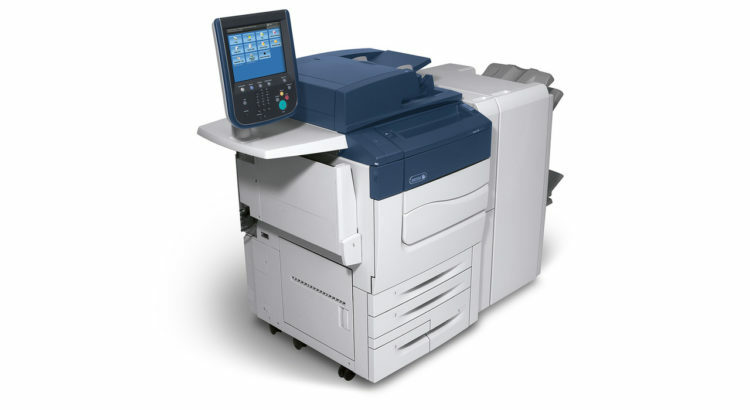 It offers more efficient transmissions of faxes and streamlined workflow from the MFP or an organization’s email system. As a cloud technology offering, customers only pay for what is needed or used. With the Xerox Mobile Link App, users can create personalized, one-touch workflows on their mobile device to remotely control a Xerox MFP and transmit documents to the cloud, fax, email or other destinations. Once created the workflows are saved as icons in the app allowing for easy, repeatable use. Of the 15 million visually impaired residents of the United States, nearly 38 percent1 are employed. 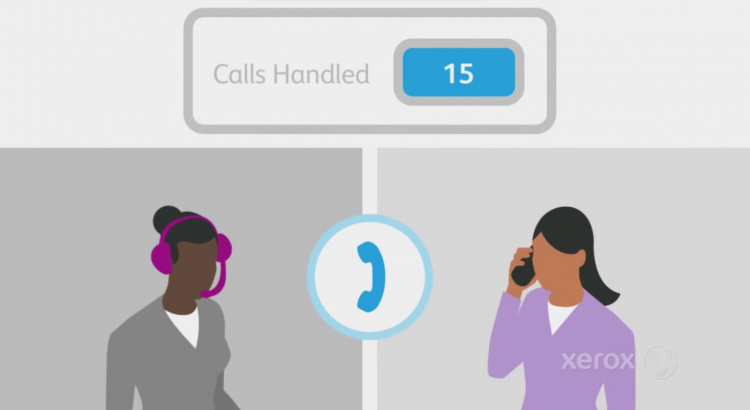 Xerox’s Adaptable Accessibility Solution, with audible and talk-back features, helps the blind and visually impaired print, scan, email and fax on its MFPs. The touch screen tablet also features oversized, easy-to-see application icons and an adjustable mounting bracket for viewing at various heights accommodating those that use wheelchairs. A complementary offering, the Xerox Mobile Access App, allows tablet users to view, manage and operate the Xerox MFP remotely with functions for copy, email, scan or secure print release. The app also includes talk-back capability and is planned to be available on Google Play and the Apple App Store. The Xerox Print Service Plug-in for Android and the Xerox Mobile Link App are available worldwide; the Xerox Adaptable Accessibility Solution will be available late May in the U.S. The Sagemcom XMediusCLOUD Fax App is available worldwide via Xerox channel partners. The Xerox Mobile Access App will be available in the U.S. in late June; the Xerox Mobile Print Cloud 3.0 will be available worldwide in late May. 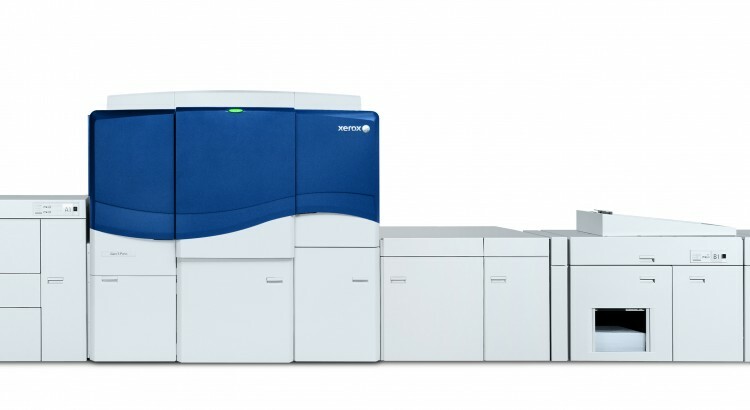 NORWALK, Conn. — A new solution from Xerox and Fotoba provides the industry’s fastest production of full-bleed and multi-up posters, banners and signage, at speeds as fast as five seconds per page. The Fotoba FHS42 Cutter runs in-line with the Xerox Wide Format IJP 2000 to increase automation and accelerate delivery speeds. For printers, that means opportunities to improve their profitability and to become the go-to shop for quick turnarounds. The cutter has one horizontal and as many as four vertical trimming blades for 1-, 2-, or 3-up full-bleed finishing. The system reads embedded crop marks on each print to align and continuously adjust its cutting blocks to deliver cuts accurate to 0.04 inches (1 millimeter). 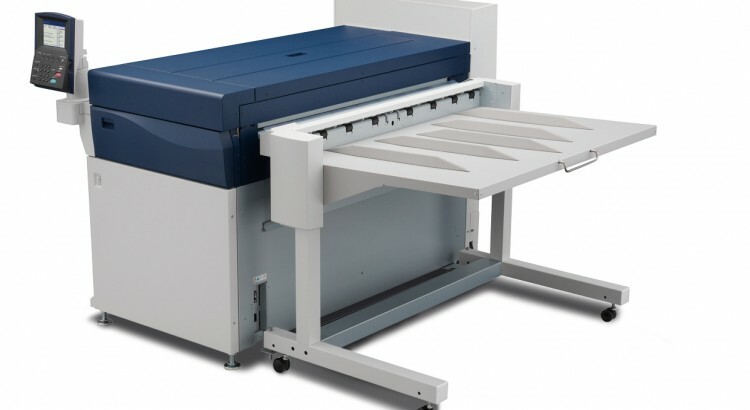 Xerox partnered with Fotoba to customize the cutter to match key specifications of the IJP 2000, including synchronizing speeds at 4,520 square feet (420 square meters) per hour and qualifying the same wide range of media. These include matte coated, photo gloss, satin, blueback and backlit/stoplight films, enabling printers to offer their customers a wide range of applications. In addition to fast turnarounds of finished prints, the cutter’s flexible trimming options let shops produce any size job without having to stock multiple roll sizes or make frequent roll changes, saving time and money. Its self-sharpening blades also minimize maintenance requirements. The IJP 2000 and Fotoba FHS42 Cutter will be on display at FESPA (Federation of European Screen Printers Associations) 2015 in Cologne, Germany, May 18-21. The Fotoba FHS42 Cutter is available worldwide from Xerox wide format resellers as a retrofit or an optional add-on.